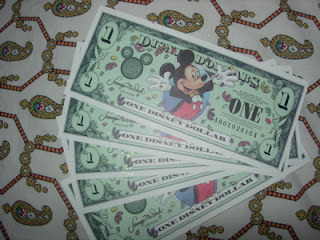 Do you know about Disney Dollars? They came on the scene in 1987. 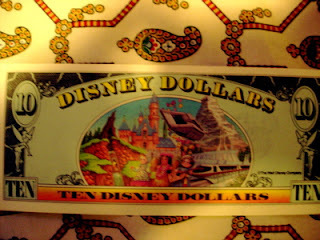 They are, to put it most descriptively, money created by Disney. 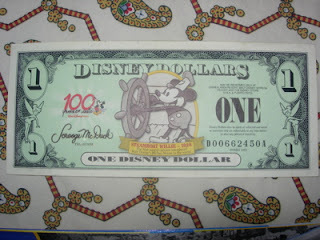 It's currency that spends like U.S. currency, except that it's only valid for purchases at Disney's U.S. theme parks, as well as at the U.S. Disney Stores. 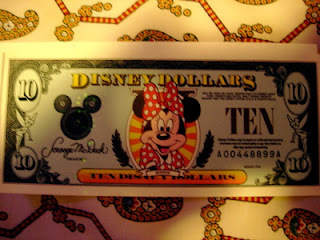 As you can see, the Disney Dollars are so beautiful, you might just want to save it instead of spending it. 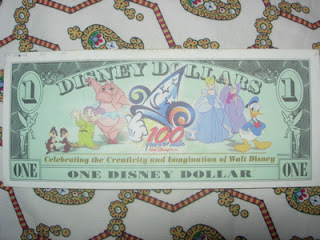 In fact, there are lots of people who collect them. 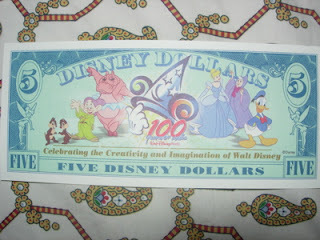 Every year the designs change on them, as well as the characters. 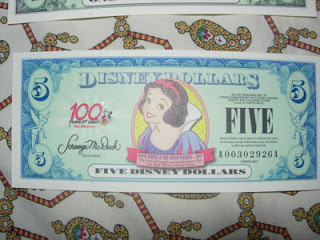 I really like that Snow White $5 bill!